← How to have a spooktacular, spine-tingling Halloween! Well, at least it used to be when it came to the genre of self-improvement books. The concept of a written guide for readers on solving personal problems has been around since the pyramids. Some of the mid to late 20th Century classics, books like Dale Carnegie’s 1936 confidence-boosting classic, How to Win Friends & Influence People, Norman Vincent Peale’s The Power of Positive Thinking, and Stephen Covey’s The Seven Habits of Highly Effective People are still widely read today. I know I use many of Covey’s strategies to keep my life on track. 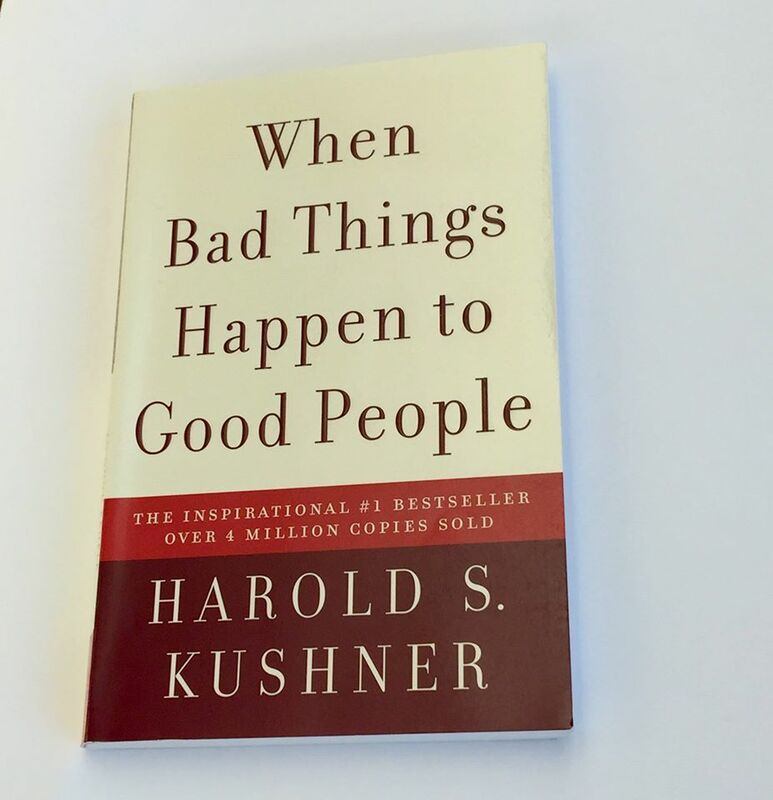 One of the most powerful books on coping with great loss, When Bad Things Happen to Good People, by Rabbi Harold Kushner, holds a place of honor on my book shelf. But up until the last 15 years or so, it was definitely a man’s world, and I didn’t personally connect with these authors as individuals who could really empathize with my unique experiences, as a trusted friend or confidante. According to Psychology Today, one of the most important factors in any good self-help book is “the author’s ability to connect with you as though you are in a relationship, to communicate understanding and compassion,” and for me anyway, to feel a recognition, a feeling of “You get me, you really get me.” Or, “I get you.” In the parlance of social media, you’re part of my tribe, or “squad”. That’s how I feel about Liz Gilbert, the best-selling author of Eat, Pray Love and The Signature of All Things. I call her Liz, because simply by having read her books, and following her on Facebook, I feel like we are the best of besties. I know her. Her posts are a daily treat that I indulge in – guilt free. It’s a conversation where she writes thought-provoking, motivational messages in a letter to us, her “Dear Friends”. And she responds to many commenters. Who does that? I want her to come to my house for the holidays. Eat, Pray, Love was a memoir/travelogue/inspirational novel, and The Signature of All Things, an epic work of fiction, is Gilbert’s homage to fearless, bold, ambitious, intelligent, curious women; family; love; history and botany. 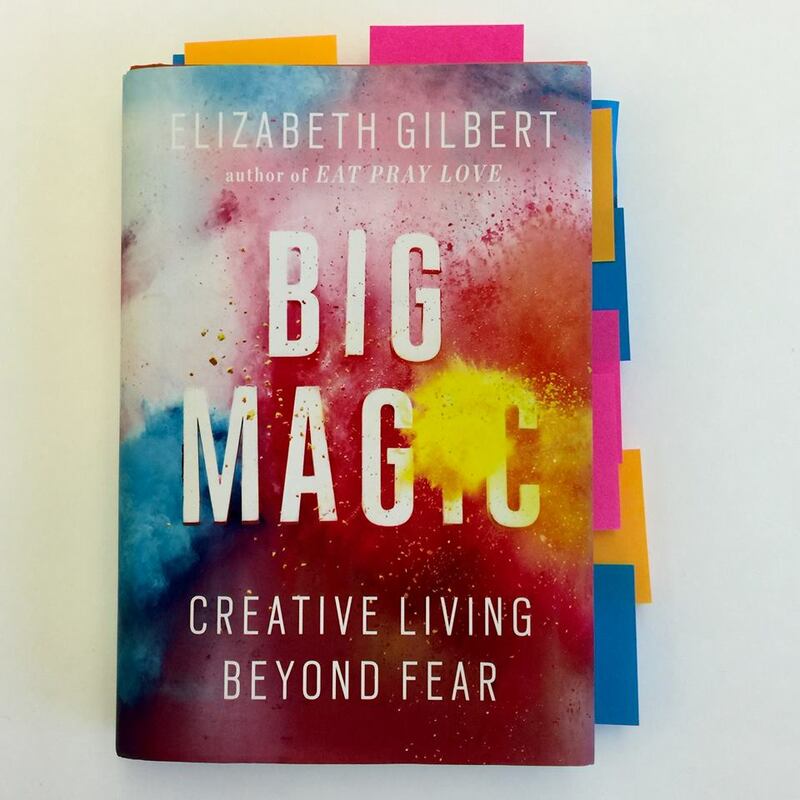 But her latest book, Big Magic: Creative Living Beyond Fear, was probably the most motivational, joy-affirming, “stop with the excuses and live your dreams” book I’ve ever read (as you can probably tell by all the Post-Its I used to mark up my favorite passages). Big Magic isn’t just for writers, artists, and starry-eyed dreamers. It’s a book for anyone who wants to break out of the rigid confines of grown-up life, with all its expectations and restraints. Gilbert proclaims that you don’t have to quit your day job to live a creative life. She didn’t. She leads by example. The other day at the bookstore, I accosted a woman when I saw her pick up Big Magic and put it back down. I told her, “You MUST get that book! You’ll LOVE IT! It’s a quick read because of Liz’s conversational style, I don’t know if you’re a writer, because if you are, you have to have to own it. But even if you’re not, you’re just looking for a creative outlet in your life, something that feeds your soul – then you need this book. If you’re into crafts, or ice skating, or photography, you’ll feel like your best friend is giving you the best pep talk ever.” Needless to say, the woman was probably a little frightened to put the book back. (Note to Liz’s Publicist: Not that she needs the help, but I’m available to stalk book stores and drum up sales). I felt the same way the first time I heard author Brené Brown’s TED Talk, The Power of Vulnerability. She is sooooo intensely relatable. If you haven’t watched this 20-minute video, give yourself a gift and watch it. How many times have you heard the debate about whether a woman can or can’t have it all? How many times have you felt the pressure to do everything, and to do it perfectly, and then felt shame when you fell short? Have you either not done a thing, or found yourself paralyzed to do a thing, because you were afraid it wouldn’t be JUST RIGHT? 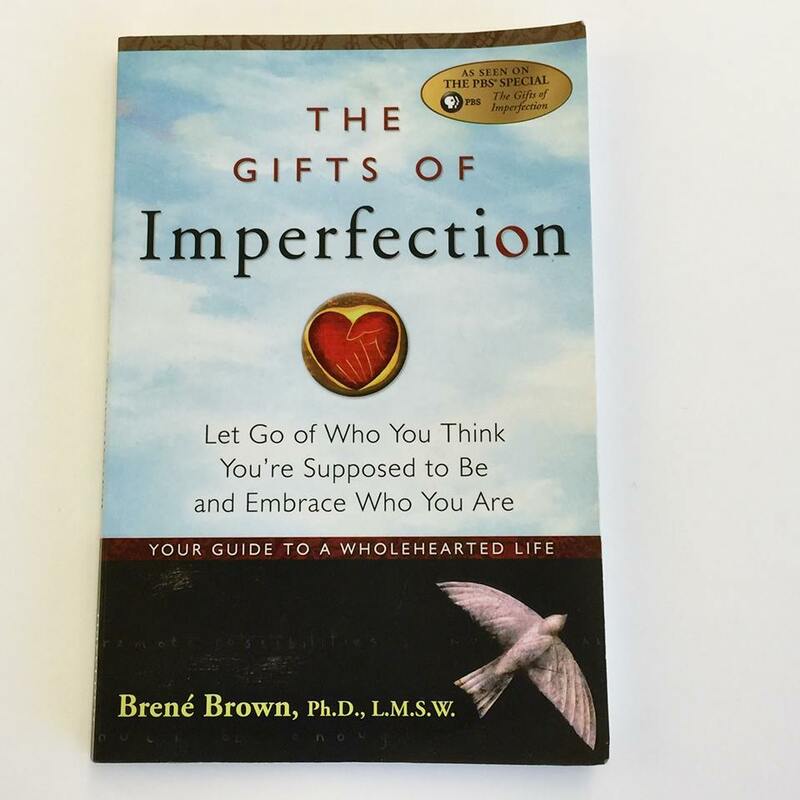 After watching Brené’s Ted Talk three years ago, I bought every book of hers I could get my hands on, including The Gifts of Imperfection: Let Go of Who You Think You’re Supposed to Be and Embrace Who You Are. The book teaches us to stop being so hard on ourselves, and understand the difference between “healthy-striving and perfectionism.” Brené talks about how perfectionism paralyzes us, “because we’re too afraid to put anything out in the world that could be imperfect.” Just think of “all of the dreams that we don’t follow because of our deep fear of failing.” She talks not only about the “power of vulnerability”, but also the power of shame, of being judged, or blamed. Read everything she’s written! But start with the Ted Talk and this book first. So you’re already pretty happy with your life? That is awesome. But what if you could be even happier? Not “Pollyanna Slap-Happy”. 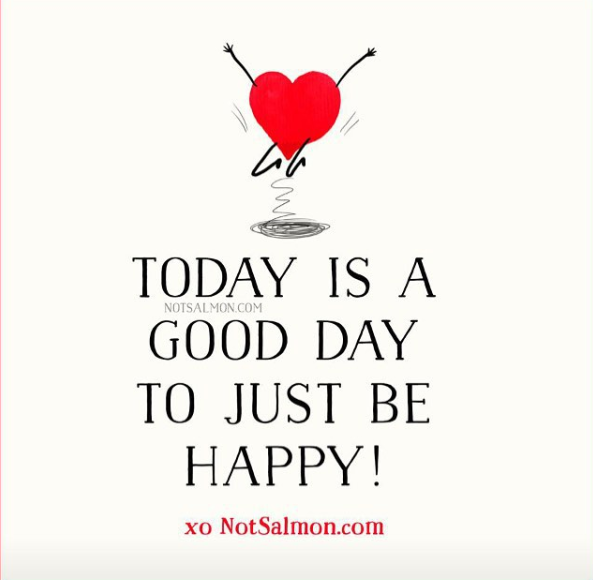 But what if using the wisdom of the ages, and in a fun, “what have I got to lose, I’m already happy” kind-of way, you could challenge yourself to focus on giving some thought to and making some simple adjustments to one area of your life, each month, for a year? 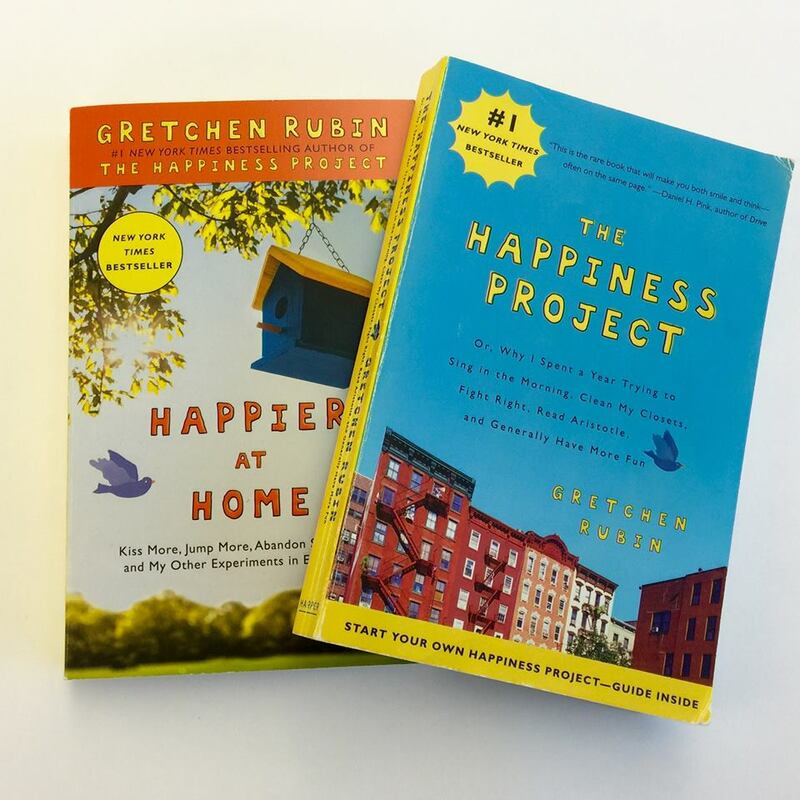 That’s exactly what Gretchen Rubin did, and she chronicled her findings in the book, The Happiness Project: Or Why I Spent a Year Trying to Sing in the Morning, Clean My Closets, Fight Right, Read Aristotle, and Generally Have More Fun. 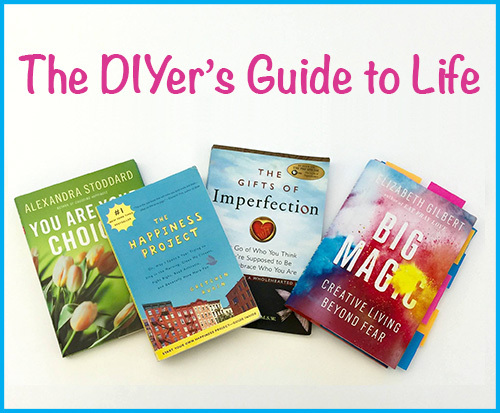 I hope whether you read any of these books for yourself, you continue to make your life better every single day. Blogger Melanie B, a Smart Perks employee, is giddy with optimism and trying her best to live a creative life.